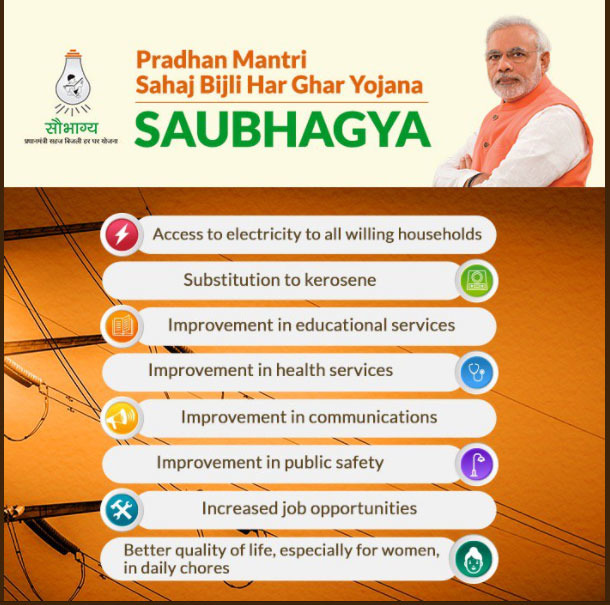 Prime Minister, Shri Narendra Modi on 25th September 2017 launched the Pradhan Mantri Sahaj Bijli Har Ghar Yojana, or Saubhagya, at New Delhi. The aim of this scheme is to provide power to all homes. On the occasion of the birth anniversary of Pandit Deendayal Upadhyay, the Prime Minister also dedicated a new ONGC building - the Deendayal Urja Bhawan. 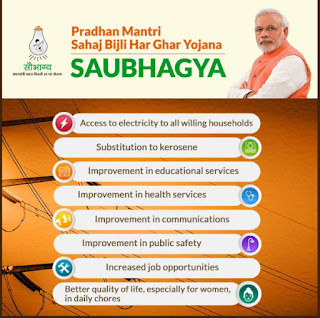 The scheme will cover all rural families after electrification of all villages by December 2017. The Union government stated that states will be required to complete the household electrification by March 31, 2019. The scheme will be funded by a 60% grant from the government, with the states contributing 10% and the remaining amount will be covered by loans. For special category states, the government will grant 85% of the outlay, with the states contributing just 5%.